We always say it, and it’s almost always true, but probably the quickest way to improve your bike — especially if it’s a budget road machine — is to invest in a new set of wheels. Mavic, arguably still the leading name in road cycling hoops, has revamped practically its entire line-up for 2011, and somewhere in its catalogue should be something for everyone. 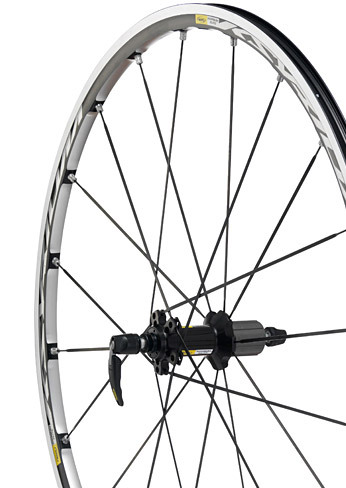 For riders looking for their first wheel upgrade, the Ksyrium Elite is the initial port of call. Benefiting from machined rims that help reduce all-up weight to 1,550 grams, they look the business and carry the respected Ksyrium name. The price for a set is £475. Meanwhile, for those who want nothing but the best, Mavic’s Cosmic Carbone Ultimate wheelset — as used by pro riders — comes in at £2,500. Just be prepared for funny looks if you stick them on your budget racer.